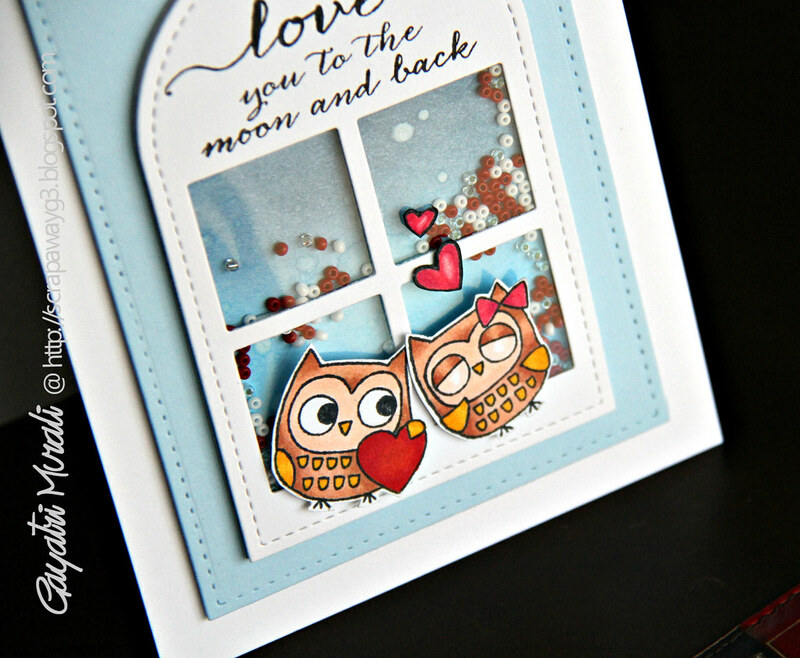 Shaker card – Love you to the moon and back! I have this shaker card to share with you today. I love shaker cards and especially the process of making the shaker card is something I have kind of perfected. lol! I used to find them a bit tedious previously because I am a lazy person. Now that I have made so many and children who have received it all love them, I find it easier and fun to make them. For this card, I have used Pretty Pink Posh’s new release die set called Stitched Duo 3. And their gorgeous new seed beads – Raspberry, Marshmallow and Sparkly Clear inside the shaker card. The stamped images and sentiment are from Penny Black. 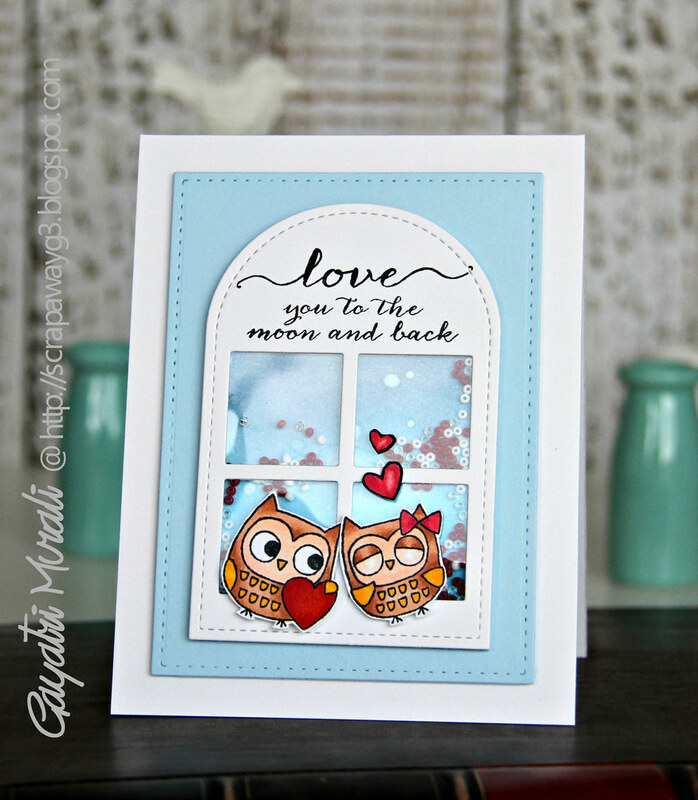 The owls are from I Heart You stamp set and sentiment is from So Very Much! Here is the closeup of the card. I adore the owls and the sentiment. I am submitting this card for Simon Says Stamp – Anything Goes Wednesday Challenge. Ohhh…soo cute!! I love owls in particular, and these top the cute list! A beautiful addition to a beautiful card! Just adorable Gayatri. Shaker cards are so on trend just now! What a sweet pair they are!! This is adorable Gayatri!